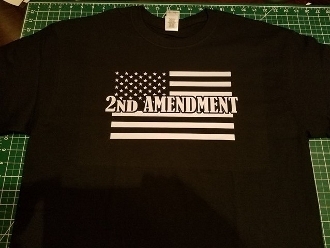 2ND AMENDMENT MY RIGHT DON'T END WHERE YOUR FEELINGS BEGIN T-SHIRT. 2ND AMENDMENT MY RIGHT DON'T END WHERE YOUR FEELINGS BEGIN T-SHIRT. CHOOSE SIZE AND COLOR. WE USE PRE SHRUNK HIGH QUALITY SHIRTS THAT LAST A VERY LONG TIME.